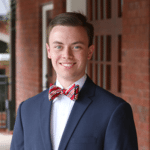 After getting into the real estate industry at 17 years old, Jay Luebke has gone on to conquer many different facets of the industry while working for one of the premier boutique team brokerages in Columbia, SC. With experience in buyer representation, transaction management, social media content creation and visual coordination, Jay brings knowledge in many different parts of the industry. Technology is an integral part of real estate. There have been countless presentations on new technologies, but there is one that we haven’t seen much talk about: 3-D printing. I didn’t intend to get into real estate full time. I was a curious high school kid, prepped to go to college without a clue as to what I wanted to do with my life. I knew that I liked interacting with people. I liked being out and about every day (not stuck in a stuffy office from 9 a.m. to 5 p.m.), and I loved “Million Dollar Listing” and shows on HGTV. Video is a hot topic in the industry today. It’s clearly becoming more and more important to feature video, be it to promote your brand or to promote your listings. There are tons of ways that you can take advantage of this platform, and I wanted to highlight a few of the ways that we use video in our business. On a recent podcast with Brad Inman, he posed a question to me that got me thinking. The question was: “What advice would you give to a younger agent, and on the reverse end, what advice would you give to an older agent?” My answer to the first half of the question was simple: find a mentor who you can learn from. As one of the cornerstones of our business, listings are our lifeline. They are one of the most vital pieces of having a successful career in the real estate industry. If this is the case, then why do listing agents continue to slack off when it comes to getting a listing ready to market? But real estate is so much more. It’s problem-solving, troubleshooting, trial and error, constant learning — and the list goes on. I believe that it takes a certain type of person and a certain personality to be an agent. Focusing on client prospecting is one of the things we have been focusing on in recent weeks on our team. The decisions and actions we are taking now are the ones that will affect us in the following months.